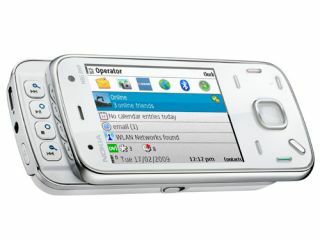 Nokia's first 8MP cameraphone, the N86, will be debuting in London on 19 June, the same day as the iPhone 3GS. The news was broken by the Nokia Flagship Store's Twitter feed, and highlights how the phone will be landing at the same time as the flagship N97. The N86 is Nokia's big hope for luring photography enthusiasts in 2009, given how it is unlikely to be bringing a 12MP effort at any point this year. And the launch of two, rather than one, high-end handsets at its Regent's Street flagship store will hopefully go some way to limiting the damage of releasing phones on the same days as the coveted iPhone 3GS, with Apple's flagship store just across the road. The N86 is also packing an OLED screen, S60 OS and Carl Zeiss optics for ultra clear photos, as you can see in our in-depth hands on. Nokia actually began shipping the device last week, so it's no surprise that it's quickly getting onto the shelves. We'll be putting up a full review of the phone in the next few days, so get ready to find out if Nokia can still cut it in the camera stakes.